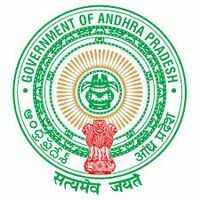 ATMA East Godavari District Assistant Technology Manager Jobs 2016: District Collector and Chairman, Agriculture Technology Management Agency (ATMA) East Godavari District invites applications for the recruitment of 23 Assistant Technology Manager (ATM) posts on contract basis upto 31.03.2017 with a consolidated pay of Rs. 15,000 p.m.Age Limit,Education Qualification and other details are mentioned below. Education Qualification: Post Graduation/ Degree/ Diploma in Agriculture/ Horticulture/ Fisheries/ Veterinary Sciences. Age limit: Between 18 - 45 years as on 01.07.2016. How to apply: Candidates can apply online through website. Last date to apply Online and Submission of application: 03.10.2016.